Happy Monday! 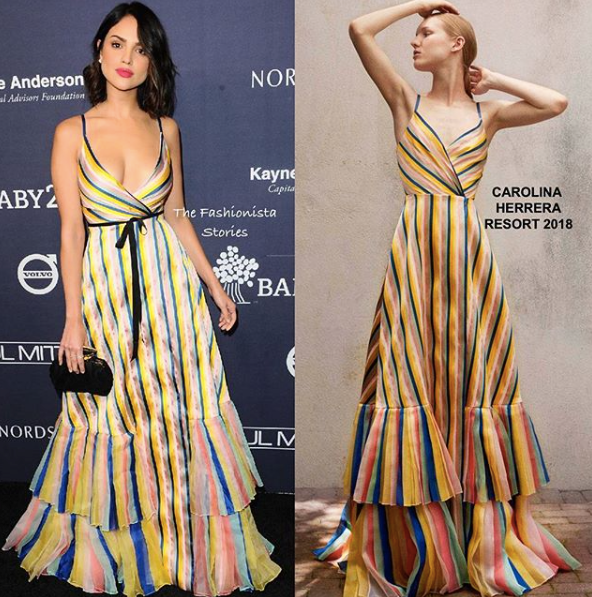 Coming in with the most votes for Best Dressed Fashionista of the Week is Eiza Gonzalez in Carolina Herrera Resort 2018. In second, Chloe x Halle Bailey in Rodarte Spring 2018 and in third, Amber Heard in Atelier Versace Spring 2017.